Gérard Flayol (Allauch, France) on 9 December 2017 in Documentary & Street and Portfolio. Tout en haut, le petit bonhomme rouge qui amplement parti des personnages, j'aime bien la scène ! When she is finished her conversation, she had better pay attention to what is right in front of her face. Excellent street photo. Nice. It took a moment to see why that was the title. 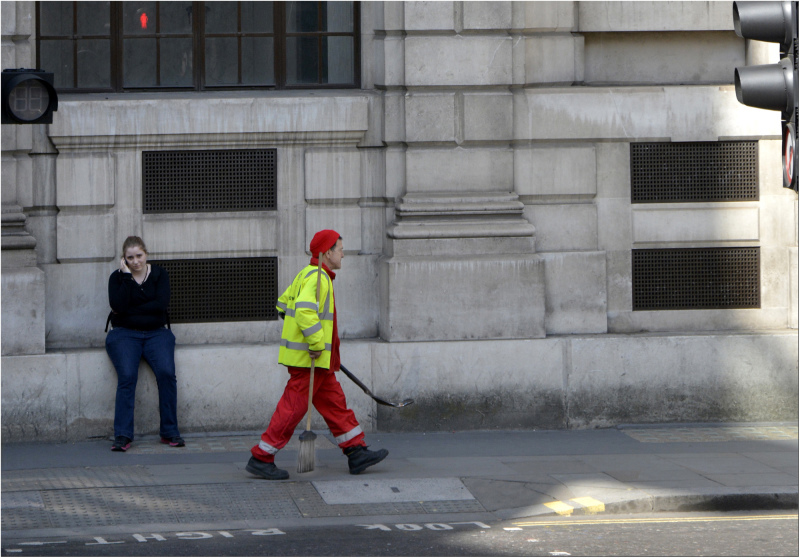 Nice series on street sweepers in the UK and France.